For this photo I turned the bag inside out. The pattern I referred to did not have a pocket. I felt it needed a pocket for my phone. I adore this pocket. I took it yet one step further and added a loop for my keys. I wanted to do a trial run on the piggy toy bag. This is the perfect size for me. 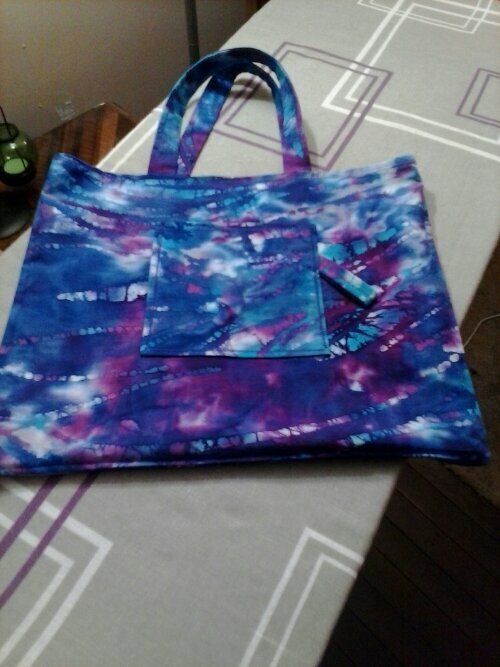 Of the bags I have made this is by far my favorite. However too small for a toy bag. Back to the thinking board. I have been wanting to make a pillow for my couch. Something that would give me comfort when curled up reading my Kindle, flipping through a sewing magazine or perusing a cookbook. Something with a bit of style that would look nice on our brown couch. It totally came to fruition today. 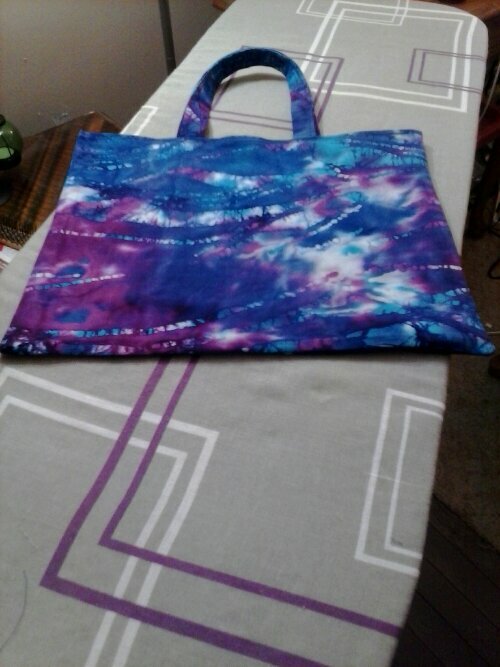 * There was a few setbacks with The Tote bag Project— sewed not one but 2 side pockets closed, ran out of bobbin thread, bobbin thread snapped, thread did not want to wind onto bobbin, dropped an entire container of pins on the kitchen floor. I figured enough for the weekend…needed to comfort myself hence the pillow!! Hope your all having a Beautiful Sunday!